Kadakia’s evaluation was right on the mark as the vibrant, VS1-clarity, rectangular-cut gem was purchased by Harry Winston for $50.3 million, establishing a record price-per-carat for a diamond of that hue. The hammer price at Christie’s Geneva was at the top end of the $30 million to $50 million pre-sale estimate, and set a new high-water mark for fancy vivid pink diamonds at $2.7 million per carat. 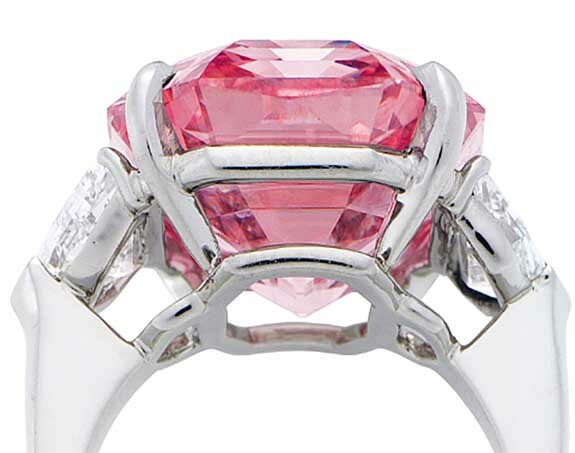 The previous record holder was the 14.93-carat Pink Promise, which sold at auction for $2.2 million per carat a year ago in Hong Kong. Once owned by the Oppenheimer family — famous for its connections to the De Beers mining company — the Winston Pink Legacy was discovered in a South African mine about 100 years ago and hasn’t been altered since it was first cut in 1920. 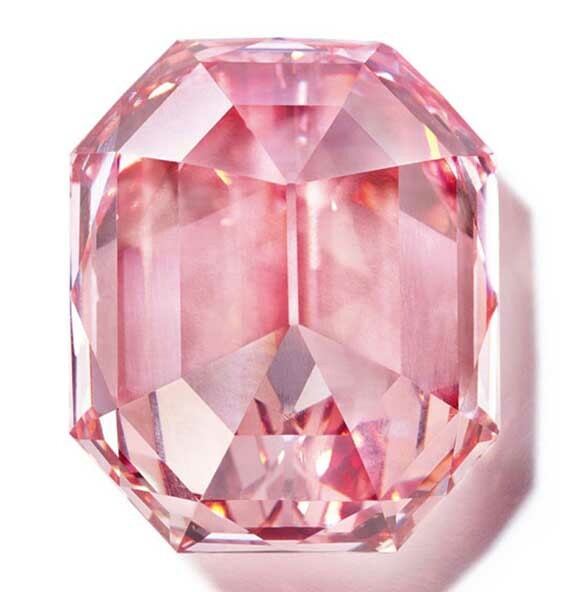 Despite its impressive $50.3 million hammer price, the Winston Pink Legacy fell short of the world record for the highest price ever paid for a pink diamond — or any gemstone. That honor is still held by the fancy vivid Pink Star, a 59.5-carat diamond that sold for $71 million in 2017.